You are here: Home / Recipes / Dinner / Vegetable Beef Soup Recipe! 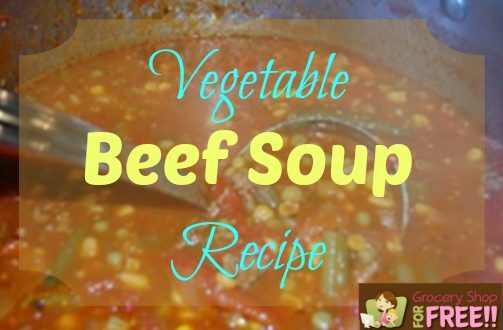 The cold weather means that Vegetable Beef Soup is in order! For a hearty soup, combine vegetables with a little ground beef and pasta sauce. The nice thing about this recipe is that you can easily make substitutions. Combine all of the ingredients except for the ground beef in the Crock Pot and cook for at least an hour. Meanwhile, brown ground beef and drain grease. Add to the soup last. This recipe makes a large batch. Package leftovers in zipper freezer bags for easy meals down the road. Substitute V8 juice instead of water for added nutrients. You can do part water and part V8 juice. This recipe can be made in slow cooker.